I know, I know: You’re busy with Fallout 4 and feel like you don’t need to buy another game for the rest of the year. You’re probably right. But but but...Steam Sale. Valve officially released its first batch of Steam Machines yesterday, as well as the Steam Controller and Steam Link. It was a big day for Valve, though it seems to have come and gone with considerably less fanfare than when the initial spate of preorders showed up in October. Again, blame Fallout. And probably StarCraft II, while you’re at it. 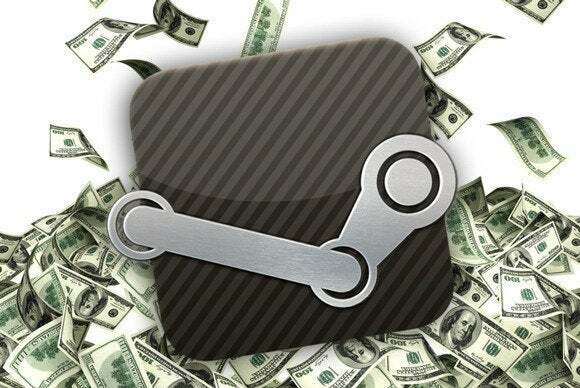 Regardless, Valve’s celebrating by throwing a miniature Steam Sale, full of Linux-compatible SteamOS games for you to play on your brand new boxes. Normally we wouldn’t write up a sale this small, but a) It’s rare Linux gamers get their own sale and b) Some of the deals here are pretty damned decent. Metro Redux (a.k.a. Metro 2033 and Last Light packaged together) is going for only $7.50, Dying Light is 50 percent off at $30, ridiculous action-RPG Victor Vran is discounted to $13, our almost-2014-game-of-the-year Talos Principle is discounted to $13.50, and Grim Fandango’s classic point-and-clicking is going for $5. This sale doesn’t have the usual breadth of, say, the Steam Holiday Sale, but the average caliber of game is much higher. Those are all great games, at some pretty great discounts. And, as I said: They’re all Linux-compatible. 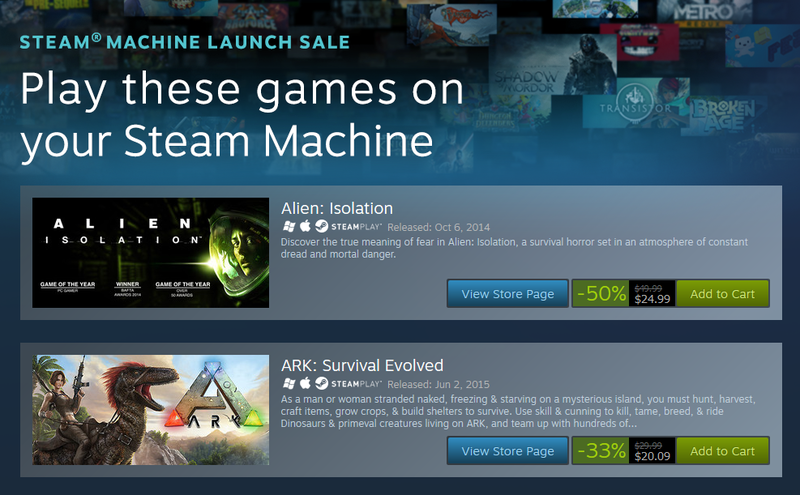 The Steam Machine Launch Sale runs through Monday, November 9 at 10 a.m. Pacific. You can find the full list of sales here.